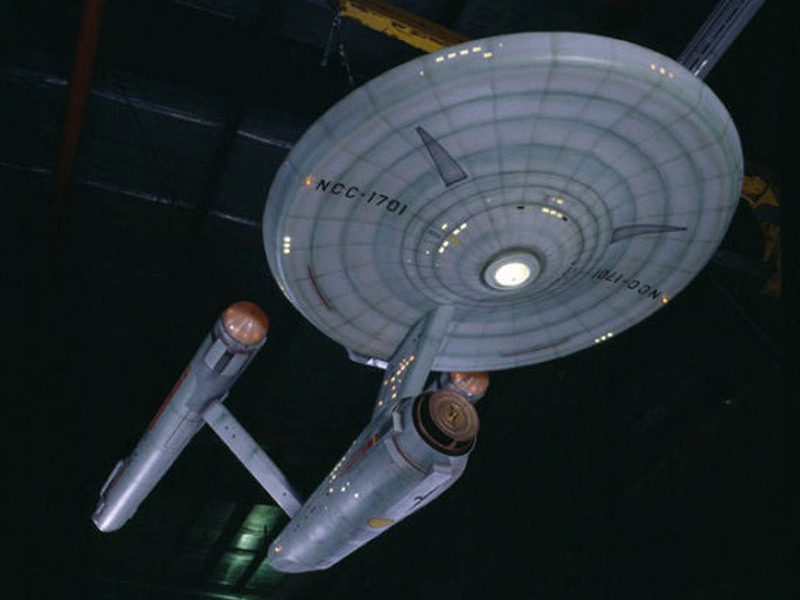 An engineer is petitioning the White House to study the possibility of building a real-life starship Enterprise like the fictional vessel in television's "Star Trek." The proposal was submitted through the White House's official "We the People" channel, which promises an administration response to any petition that gathers at least 25,000 signatures. Just last month, a petition to build a Death Star like the spherical spaceship in the movie "Star Wars" garnered that critical mass, and is currently awaiting its official response. "We have within our technological reach the ability to build the 1st generation of the USS Enterprise," BTE Dan wrote in the petition, viewable here. "It ends up that this ship's inspiring form is quite functional," he wrote. "This will be Earth's first gigawatt-class interplanetary spaceship with artificial gravity. The ship can serve as a spaceship, space station, and space port all in one. In total, one thousand crew members & visitors can be on board at once." Some experts have questioned the feasibility of certain aspects of BTE Dan's plan -- for example, no technology for artificial gravity currently exists, and the largest number of people ever accommodated on any space vehicle until now has been 13 (when the shuttle Discovery docked to the International Space Station in April 2010). However, scientists are pursuing the dream of interstellar spaceflight -- travel to other stars -- which would require a significant technological leap from current spacecraft, none of which have yet left the solar system. An organization called 100 Year Starship, initially kicked off with seed money from NASA and the U.S. Defense Advanced Research Projects Agency (DARPA), aims to establish the technologies needed for interstellar flight within 100 years. Plus, if the Enterprise could be built, BTE Dan argues that its motivational benefits would match its scientific paybacks. "Few things could collectively inspire people on Earth more than seeing the Enterprise being built in space," he wrote. "And the ship could go on amazing missions, like taking the first humans to Mars while taking along a large load of base-building equipment for constructing the first permanent base there." For more details about the proposed Enterprise plans, see BTE Dan's site: BuildTheEnterprise.org.